Here is what I did for creating my demo cluster for OpenShift Container Platform 3.5 on Azure. Three masters with etcd (same hosts). These masters are also infra nodes. One Azure Load Balancer with two public IP (master endpoint and router endpoint) We can’t separate these endpoints into two ALB because Azure doesn’t allow creating two or more ALBs with one backend pools. As I don’t use Marketplace RHEL VM, I must create and upload a custom image in advance. Please read our document if you have a Red Hat account or you can read Microsoft document. Create an availability set for masters and VMs with Azure CLI 2.0. Please replace <***> with your own values. These commands won’t enable boot diagnostics. To enable it, execute below commands. I usually use 10GB-sized custom VHD. In this case, we must increase hard disk space for the file system containing /var/. I extended the disk size of OS disk in Azure portal page and extended the filesystem. Also, attach one 50GB Azure Disk to each VM for docker storage. Create an Azure Load Balancer as follows. 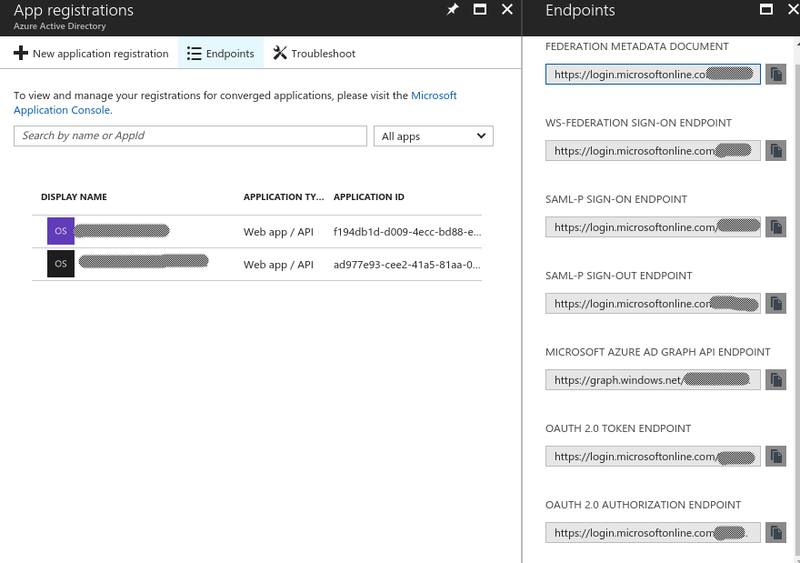 If you want to use AAD for authenticating master, you should create Azure AD App. Though I tried to create with Azure CLI 2.0, I found creating in Azure portal is the easiest way. When you create Azure AD App, the reply URL must be “https://>:/oauth2callback/aad”. The “aad” can be changed but must be equal to identity providers name in master-config.yaml. Then you can retrieve Application ID, OAUTH 2.0 TOKEN ENDPOINT, OAUTH 2.0 AUTHORIZATION ENDPOINT and API access key value. Now I executed Host preparation. When I executed docker-storage-setup, I selected option A) to use the added 50GB Azure Disk. Here is my ansible inventory file. Now I could install OCP 3.5 with these configurations. tanaka733 is using Hatena Blog. Would you like to try it too?